Welcome to the sixth and final installment in our flea series! 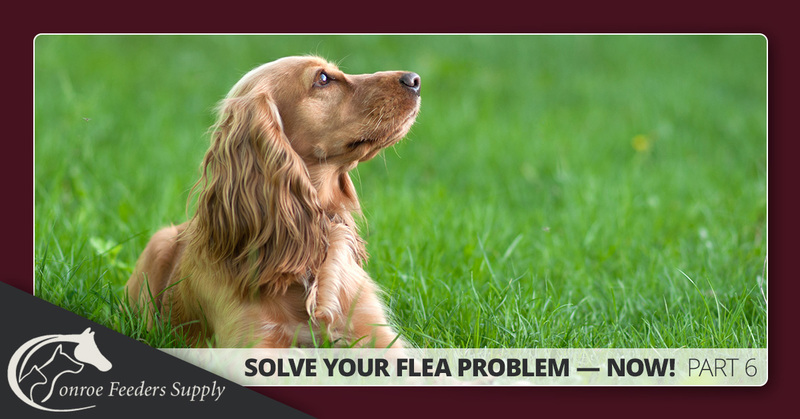 Now that you have a firm understanding of the life of fleas and the problems associated with an infestation, now it’s time to do something about it! Here, we will give you the solutions — flea prevention, infestation treatment, and flea control. First, you must understand that most flea problems aren’t associated with just your pet, your home, or your yard. Your flea problem has most likely spread into all three areas and if you want to solve your problem, you must attack all three areas at once. And here’s the key…. You must continuously attack all three areas, your home, your yard, and on your pet systematically, simultaneously, and regularly. Why, because your pet is nothing more than a subway shuttle for fleas, wherever your pet goes, flea problems are left behind. Control fleas on your pet first. Capstar© quickly eliminates fleas on your dog or cat. This is a tablet that when given, works within 30 minutes and kills approximately 90% of the adults within 4 hours. Spot on treatments can be used at the same time, but they do require several days to start working. Most topicals claim to control fleas for 30 days, requiring monthly treatment, but it might be best to work off of a 4-week calendar. We suggest using Frontline Plus© because it kills fleas, kills flea eggs, kills flea larvae, and is effective on ticks. Generic products are available, just make sure they contain fipronil and S-methoprene, the two ingredients that give frontline plus the broad spectrum killing ability. Here’s our best suggestion for “on the pet” treatments. The effectiveness of Capstar© and Frontline Plus© depends on your strict adherence to the 28-day dosing and application schedule. Second, control fleas in your home. Here, too, is a multiple product approaches suggested in conjunction with some household activities. Flea foggers will work. But, you must use a fogger in each room your pet frequents. We suggest the Adams Plus© Indoor Foggers that kill adults, larvae, and eggs plus a host of other indoor pests. The label claims to work for 7 months, but a more reasonable application time frame is every 90 days. Carpet powders or dusts work well. Using Food Grade Diatomaceous Earth is our suggestion. Sprinkle a liberal amount of this on your carpets and rugs, leave it overnight and then vacuum the next day. This product doesn’t do much for killing the flea egg but it works quite well on the adults and larvae. Treating your carpets and rugs weekly is best, but once a month could work provided you routinely vacuum your carpets and rugs each week during your cleaning chores. Be sure to empty your vacuum containers or bags after each cleaning or treat them with Adams Plus Spray© or Demon© WP as the eggs and larvae collected will still be alive. Demon© WP (wettable powder), when mixed with I. G. Regulator©, works well when sprayed on carpets, rugs, under furniture, behind appliances, anywhere you might think fleas could hide. Our best suggestion for in-home treatment includes a using Adams Plus Foggers© every 90 days, Food Grade Diatomaceous Earth once a month, and the Demon© WP/I. G. Regulator© combination sprays once a month. Remember to routinely vacuum once weekly during your household chore time. And finally, control fleas in your yard. Insecticidal sprays like Cyonara© and Liquid Sevin© work well when applied weekly. Since neither kills the larvae or eggs, regular, systematic weekly treatments are a must in order to break-up the life cycle, preventing adult fleas from acquiring that initial feeding and laying eggs. Both products come in a “ready to use” spray bottle that attaches directly to a water hose for easy application. Follow up treatments can be accomplished by refilling the RTU bottle with like concentrates. If spraying on a weekly basis is impossible for you, using bifenthrin granules is an acceptable, but not as effective, approach. Applying this product to your lawn and flower beds can help control egg laying as it will kill adult fleas and some flea larvae. We recommend Bifen© LP Insecticidal Granules. It is available in a 25 lb bag and can be easily added to lawn fertilizer for a dual application. This product has added benefits as it controls fire ants, chinch bugs, fleas, mole crickets, and ticks. One bag should cover 21,00 square feet. Our suggestion for lawn treatment includes Bifen© L/P granules once a month and Cyonara© spray once weekly. So, what’s the complete package? Here it is! Our 3 Step Program for Flea Control. 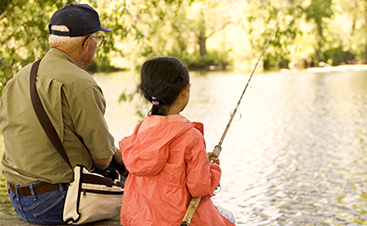 Final suggestions: The use of a once a month flea capsule (CapShield Plus) has shown tremendous promise. As of February 2018, we have begun adding this item to our 3 Step Program. A product from BASF, PT© Alpine Flea & Bed Bug Insecticide shows long-term effectiveness when used in kennel areas, pet housing, inside homes. This product has very specific cautionary statements and label directions should be followed. NEVER use this product topically on your pet – it is for premise use only. Ask us about these additions and how they are working. While we know that this is a lot of information, understand that you are not alone! At Conroe Feeders, we take the health and safety of your pets and home seriously and are experts on all the products we carry. 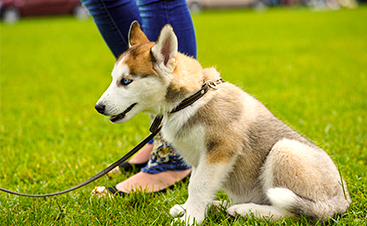 For all of your flea control and prevention needs, contact us or stop by today!